We design & build creative, livable custom homes and renovations. COASTAL DWELLING is a Design & Build firm that was created specifically with the client in mind. Combining design experience, construction knowledge, and management skills, we are able to take a client's vision and turn it into reality with transparent design and construction management procedures. We are a fully licensed, insured, and bonded California General Contractor dedicated to making a difference in the construction & design industry. Build it beautiful with Coastal Dwelling. From Seattle to San Diego, Coastal Dwelling has designed comfortable and livable homes of all styles & sizes for people. Whatever your vision & style is, together we achieve your design goals in a complete design process with both top notch architects & a personal interior design experience. Coastal Dwelling is a California Licensed, Bonded, & Insured General Contractor. The team has an extensive experience designing & building residential homes, historical Stanford University Estates, and renovations of all scales & styles. If you are an investor looking for a team of personal, intelligent, and experienced individuals to design, develop, & build a Spec Home...look no further. With degrees in Business while specializing in home building & real estate development, we are committed to a successful project. Coastal Dwelling, Flagg Coastal Homes, and Dorian Lytle worked together on this Del Mar custom home build for an amazing family. Coastal Dwelling took on full interior/exterior design, landscape details, and project management expertise. Rebecca worked hand-in-hand with the homeowners of this beautifully built home on every design aspect, paying attention to all of the fine details to add character and warmth to this new build so that it seems as though the house has been there years with generations to come. Coastal Dwelling, Flagg, and Dorian are excited to have this home featured in Home Bunch as well as the center piece for this years summer issue in San Diego Home and Garden Magazine. Who says having the Blues is a bad thing? You can't deny the true beach house feeling with tones of blue surrounding you both inside and out at this Coronado Beach House. This home was a complete overhaul renovation; including a full-scale remodel of the existing structure and completely new landscape, hardscape, and pool area. In the design we made sure to incorporate reclaimed wood materials, copper, and art from Local Coronado Artists as well as pieces from famed artists from the Hawaiian Islands. This home is full of color, giving it a vibrant and exciting feel for this family as their forever home. Coastal Dwelling had its hand on every inch of this property from start to finish including all of the interior design, landscape design, and selecting and sourcing all materials used on this bold and beautiful home. Additionally, Coastal Dwelling completed the interior decor with the clients. Flagg Coastal Homes and Dorian Lytle crafted a beautiful structure giving an old Victorian house new life with their tagged Coastal Home architectural design. 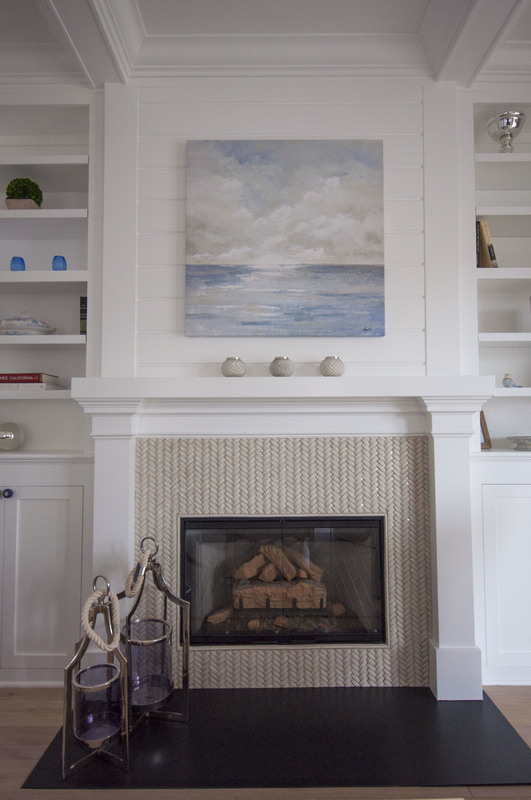 As a team, all parties created a truly lovely beach property for this family. Flagg Coastal Homes, Coastal Dwelling, and Dorian Lytle had the opportunity to work together again on this Coronado spec home build. With full design and project management expertise, Coastal Dwelling assisted Flagg in this design and build project. Flagg and Dorian Lytle have their roots running deep here in Coronado with talent and local Coastal Home building skills. Coastal Dwelling and the Flagg team have teamed up and are creating beautiful custom homes throughout the community. Warm design for a classic New England style beach house. Coastal Dwelling had the opportunity to work with another local builder on this Coronado custom home build. 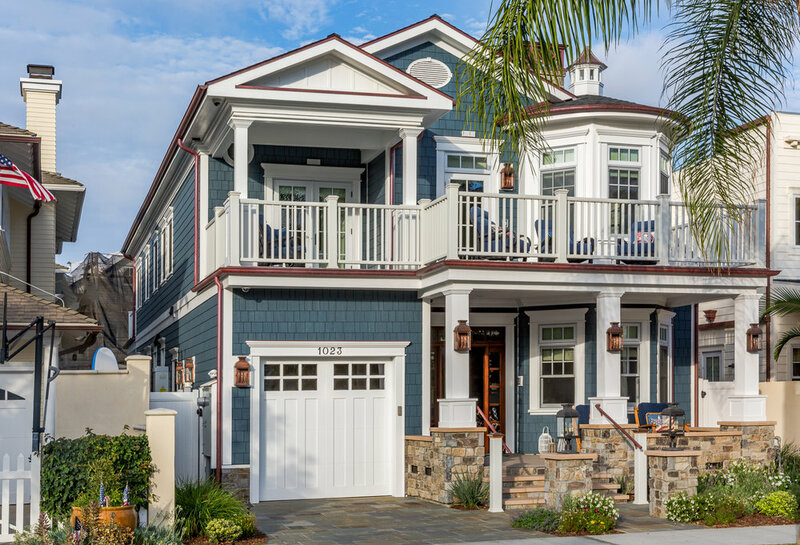 With project management expertise, Coastal Dwelling was able to help make this family's dream beach house become a reality. A stylish & cozy Coronado beach house gets a signature look. Coastal Dwelling designed & managed the build of this Beach House. With a youthful and fun take on a true beach design, we took an existing 1970's home and created a beachy & vibrant home for this family of sailors & surfers. With a complete remodel needed, this home went from pink carpets to an open, true beach house. 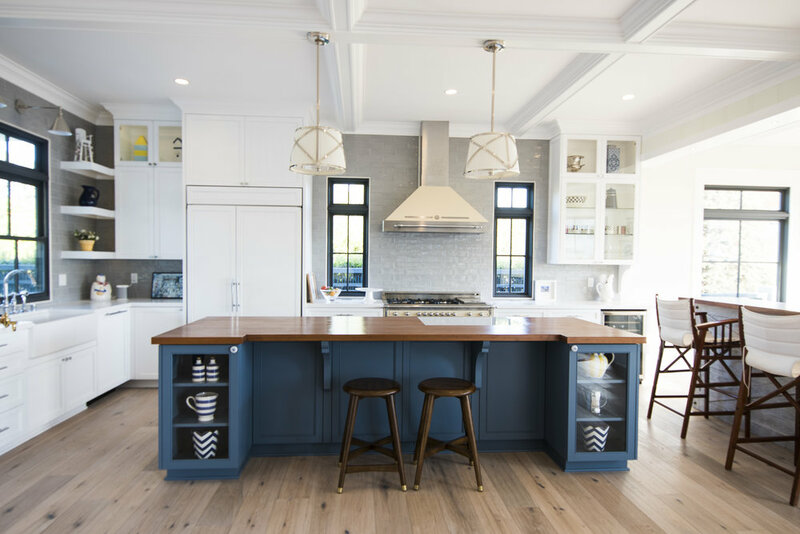 Coastal Dwelling personally worked with the homeowners throughout the design process, selecting all finishes, materials, tile, furniture, and customizing every cabinet and element of their home. The landscaping & hardscaping was also designed by Coastal Dwelling and built for the coastal environment of southern California. A new Master Suite for a historical home. This French style home on the coast of California gets a refreshing Master Suite. Our experienced designer, Rebecca Lincoln, took a tired bedroom, closet, and en-suite bathroom and created a beautifully built and designed space. Utilizing elements of air purifying natural clay plaster coating the walls and ceilings, a mixture of french limestone, metals, woods, antique light fixtures & hardware, custom designed & built cabinets, and warm inviting tones Coastal Dwelling gave this master suite a truly historic French touch. To finish the project with a true French feel, an antique door imported from France was set on barn sliding iron hardware. San Diego calls for a multitude of design choices and building styles. Coastal Dwelling specializes in all types and styles of homes. Anything from coastal to industrial & modern...Coastal Dwelling does it all! Your new dream home or living space awaits. Build it Beautiful!